My website was designed to introduce myself to prospective clients who are interested in acquiring my services as a magician to entertain children at birthday parties, libraries, schools, sports programs, pre-schools, cub scouts and brownies and also adults in churches, assisted living and retirement homes, and other similar venues. I was looking for someone to guide me through the transfer from my mac website to another dependable web designer and eureka, I found Korelia who could actually download my old site from I-web on mac. This saved me lots of time. I didn't have to start all over. I just updated what I had on I=web. I chose Sandvox because I know very little about web design. It was so easy to choose a template to organize my downloaded information from I-web. It took some time but I was very pleased with the easiness of the operation because it was similar to Apple's I-web. 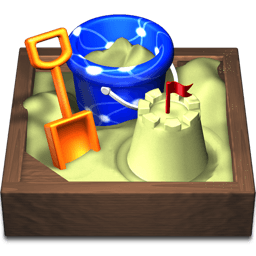 Sandvox is user friendly. Pictures-drag and drop then size to my likings. The cost is very reasonable.